I saw this movie on TCM while doing my usual channel-surfing, and because I saw that James Stewart was in it, I just had to watch. He plays Alfred Kralik, a salesman in a gift shop owned by Mr. Matuschek. A young woman, Klara Novak (played by Margaret Sullavan), comes in looking for a job, and eventually she gets hired by Matuschek. She and Kralik do not get along, but they don’t know that they’re actually secret penpals and that they’re falling in love. The secret pen pals, bickering again. The movie is set in Budapest, Hungary and everything from the names, the places, and even the currency are all Hungarian. Yet they’re all just speaking English. I find it all weirdly charming. I suppose they kept the setting as an homage to the original play from which this was adapted. The supporting cast is a collection of lovable characters – the precocious errand boy Pepi, the always put-upon clerk Pirovitch, the ladies Ilona and Flora, and the smarmy Vadas. At its heart the film is really a romantic comedy, but there’s an underlying sadness as well. Kralik is Matuschek’s oldest and most trusted employee, even being invited to the boss’ home for dinner. But Matuschek begins to suspect that his wife is having an affair with Kralik, so without telling why, he fires Kralik a few days before Christmas. Kralik is hurt but he tries to put on a brave face. The private detective that Matuschek hired visits him to confirm that his wife is indeed having an affair, but with the smooth-talking Vadas! Matuschek is so distraught that he tries to commit suicide, but is stopped just in time by Pepi. Of course he and Kralik make up, and he even promotes Kralik to store manager. The scene between Kralik and Matuschek in the hospital really shows the father-son relationship they have, and it’s so heart-warming. And there’s a happy ending for Kralik and Klara too. Everything wraps up nicely on Christmas Eve, and the scenes of the snowy streets and the quaint little shop are sure to put anyone in a happy holiday mood. And in the last scene where Matuschek is inviting the new errand boy to Christmas Eve dinner and describing traditional Hungarian dishes, your mouth will surely water! “You’ve Got Mail” wasn’t technically a remake of this movie, but it did pay homage, with Meg Ryan’s store being called The Shop Around the Corner. 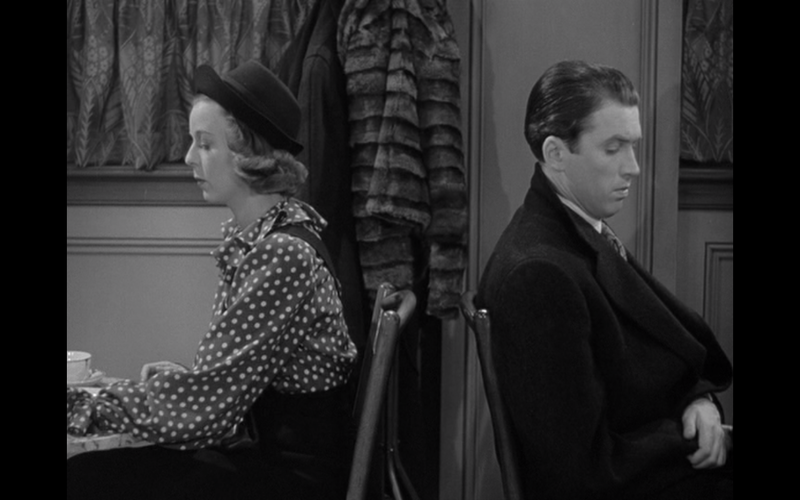 The scene where she’s waiting for her email pal in the cafe and Tom Hanks walks in instead is also very similar to how it played out between James Stewart and Margaret Sullavan. There was also a musical remake starring Judy Garland and Van Johnson called In the Good Old Summertime. Boy, was I confused when I first saw that movie. I thought I was having a major case of deja vu, because only the setting changed. There’s also another reason why this movie holds a special place in my heart. I love trying out new food, and when I heard that there was a Hungarian restaurant near our house, I had to try it out. I did my research on what dishes to order and called the restaurant for a reservation. The girl who answered sounded so unsure by my request for a table. But she confirmed our party anyway, so I excitedly invited my family to try out a Hungarian dinner. When we got to the restaurant, there were no customers! No wonder the girl was so confused, she was wondering why anyone had to reserve a table. The poor shop shut down soon after. So every time I watch Shop Around the Corner, I remember Magyar restaurant and the one time I got to try Hungarian food. RIP. I used to hate Margaret Sullavan because I found the way she talked just a bit off-putting. I just tolerated her in this movie. But I learned that she had some hearing problems which may have changed the way she spoke, so now I like her. And I’m so glad that now I have no reservations about The Shop Around the Corner, and it has since become one of our favorite Christmas movies.